To set the stage, I’m vacationing at my sister-in-law’s house in Front Royal VA. I have been doing some late afternoon early evening reviews from the deck after a long hot day playing with the kids in the poor. I ran out of the beers that I brought with me so I went to the local store today and picked up something that I can’t get in PA. It’s around 8:00 am and it has really cooled off. So let’s check out this Oatmeal Porter. This will be the last of my “Deck Side Reviews”. The beer pours a dark brown completely opaque with a very rich and creamy tan head. The nose is nice with rich dark roasted malt aromas with notes or dark fruit, chocolate and a hint of coffee. Wow, that was nice, very nice. This is a very rich but smooth robust porter. The experience starts out with a dark malt sweetness up front then the most pleasant smooth mouthfeel as the beer washes over the tongue in the middle of the sip. The back-end is fairly easy drinking with just a slight hesitation on the top of the swallow. The finish is fantastic with rich dark roasted malts and notes of dark fruit and chocolate. 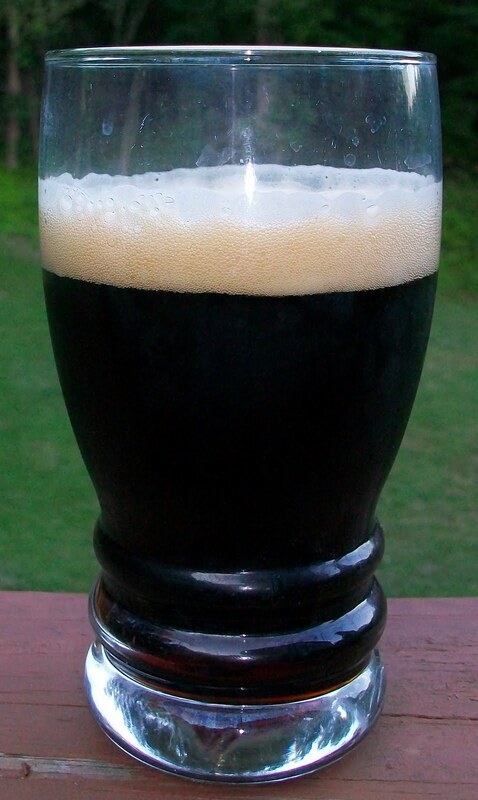 There is a mild stout-like aftertaste of robust dark roasted malts. This is very impressive. This beer is very robust but is maintains a very easy drinking medium body with a smooth and creamy mouthfeel. All and all this is an exceptional porter. The head on this beer has not quit. Even now when the beer is at the end of the glass there is still a very rich ¼ inch protective layer over the beer. The lacing has outstanding with a rich coating on the glass. This beer is close to room temperature now and it is even smoother and richer than it was when cold. It is always impressive when a beer warms this well. This is a solid A. It is a very rich but also smooth and creamy robust and hearty American Porter. This has been very impressive experience. 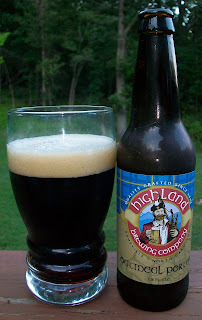 I can’t wait to try more offerings from Highland Brewing.